Emergency crews responded to a house fire on Friday night, on the 1300 block of Angus Street. 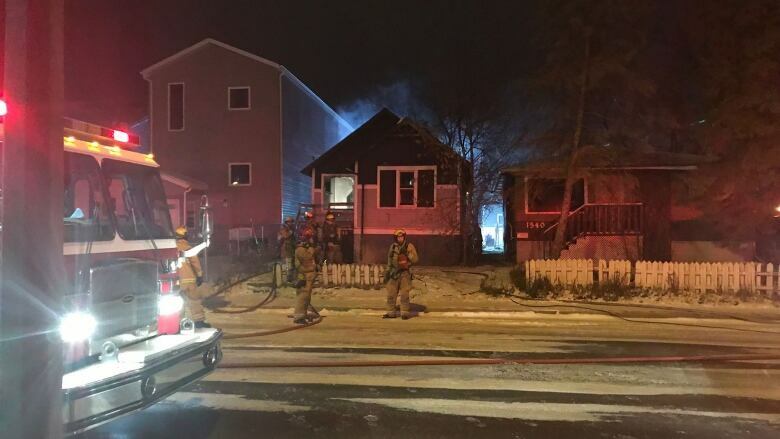 Emergency crews responded to a house fire on Friday night on the 1300 block of Angus St.
Police blocked off the roads leading to the single-storey house, while firefighters attacked the blaze from the back alley. It appeared to be under control by 9 p.m. CST. Area residents reported seeing an ambulance on the scene, but late Friday, there was no official word on whether anyone was injured. It was a chilly night for emergency responders, with temperatures at -10 and dropping to -20 with the windchill.